Cisdem PDFPasswordRemover is a product launched and owned by Cisdem Inc. The only supported usage of it is, and will be, to recover passwords and/or content that you own but have lost access to. Suppose you are an employee of a big company and you are supposed to present one PDF document which is very confidential. So you may keep one password which is hard for any person to decrypt. Now, what if you yourself forgot that password? What will you do? Are you ready to make new document? The document is very important and it is very hard to make such document again. So let me show you the way by which you can decrypt your password easily. You can use Cisdem PDFPasswordRemover on your MAC computer and decrypt your password easily in case of you forgot the password. There are some other astonishing features of this software as well. So let’s see this software in details. Cisdem is a well known company which provides a different kind of software for the variety of purpose. 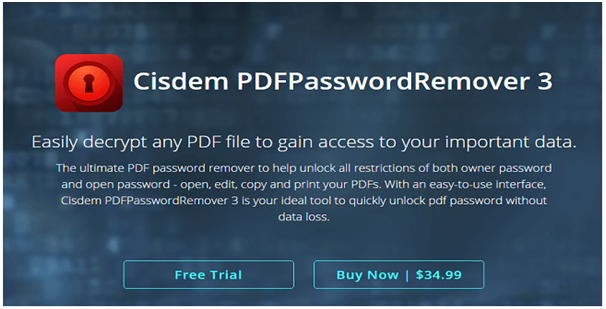 The one good software of this company is PDFPasswordRemover which you can use to remove passwords from any PDF on MAC computer. This PasswordRemover is used on MAC computer only. The process of decrypting the password is very easy and fast. With the help of this software, you can decrypt password which is either open password or owner password. There are certain smart algorithms are present in this software which makes it very fast to decrypt the password of any PDF document. Cisdem provides the software which is paid. But there is a trial version of this software which you can use initially to test this software. Make sure you only use MAC computer for this software. The installation of this software is very easy and hassle free. Once installed, you can decrypt your password very fast with the help of this software. The best thing about this software is it requires very fewer resources to run. So you can run other software concurrently. When you decrypt any PDF using this Password Remover, you will remove the password from that PDF. So let’s see how easy it is to remove the password from PDF. Drag&Drop PDF files or directly add files you need to decrypt into the main interface. Cisdem PDFPasswordRemover supports decrypting 200 PDF files at one time. Once you have added the encrypted PDF into Cisdem PDFPasswordRemover, choose the output location, and click "Remove". After you added the encrypted PDF files, if there is a lock icon appearing with your PDF, it indicates your PDF is user password protected from opening. Click the lock icon, either enter the user password if you know or directly decrypt the password if you forgot it. Also tweak the settings to save the decryption time. In very less time, this software will crack your encrypted PDF document. Remove the password from PDF files by Cisdem PDFPasswordRemover, you will get an equivalent PDF without password, and the secured pdf is unlocked. Once you have cracked your encrypted PDF document, you can open, view and edit the PDF document without any restriction. PDFPasswordRemover removes the restrictions of editing, viewing PDF document. You can remove Password protection of PDF regardless of encryption scheme. You can access any unauthorized PDF document and access any part of that document. Smartly recover PDF Open/User Password using brute force. 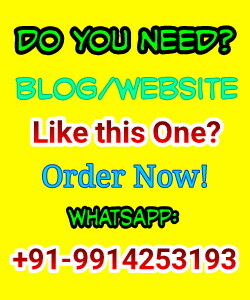 You will get any kind of rights like add or remove comments, add hyperlinks, and edit PDF etc. You can apply decryption process on many files at one time. It supports various PDF versions 1.0 to 1.7. It supports decrypting PDF files in multi-languages. Cisdem PDFPasswordRemover can batch process multiple encrypted PDF documents at a time, it supports remove up to 200 PDF files at one time. The best thing about this password remover is that it will not alter any part of your document. So you can decrypt your document without any worry. This is very fast software to decrypt the password. The main advantage of this software is you can use any kind of document to decrypt. You can edit, view or print document which is encrypted using any encryption scheme. It is very useful for business and corporate purposes. Free Lite version is not provided by the company so there is an only free trial available. The company offers this software in various plans. There are 3 types of licence which you can get from the company. The first one is for a single user only which will cost you $34.99. The second licence is of $54.99 which can be used for 2 MACs. If you want to use this software on 5 MACs then the cost will be $84.99. The most important thing to know before the purchase of this software is that this software is the one-time purchase. You will get lifetime updates for this software. So you do not need to worry about the renewal cost of this software. This is the awesome tool which will let you decrypt any kind of password of PDF document. Once the password is decrypted, you can access any part of document easily. I have tested this tool for various cases and I am quite happy with the result from this tool. If you are a person who uses the document with password then I strongly recommend you to buy this software NOW. If you like this post then do share it with your friends and let them know how they can crack the password. I would like to hear your experience with this tool, so feel free to comment. Message: I hope that you have enjoyed '[Review] Cisdem PDFPasswordRemover 3: An Ultimate PDF Decrypter' article on Tips2secure. However, if you want me to deliver more items, then please share my post. You can use Social Sharing Widget provided at the end of every post. After all, Sharing is Caring!